Like many Americans, when I lived in the States, I checked the weather forecast obsessively. Between local TV and radio updates every 15 minutes, three different weather apps on my phone, and of course, The Weather Channel, it was easy to fulfill my “What’s-the-weather-going-to-be-like-two-hours-from-now?” addiction. But a strange thing happened when I moved to the Caribbean. The habit that was such a foundational part of my daily routine suddenly ceased. I stopped checking the weather, cold turkey. There are several possible explanations for this about-face in my concern for the elements. The most obvious one being that the weather here is relatively stable and predictable, depending on which of the two Caribbean seasons we’re in. During tourist season, temperatures are hot but pleasant, thanks to prolific breezes across the island. And it’s pretty typical to have an overnight shower, with skies clearing in the early morning. No big deal. Wash, rinse, repeat – December thru May. As hurricane season builds, the temperature becomes increasingly hotter, the breezes get progressively lighter, and the humidity rises to sauna levels. The height of this weather-induced misery begins in earnest around late August and culminates in late October, with November providing the kickoff to a much-needed break from the heat and humidity. The first item in my meteorological toolbox is my hair. It’s very fine and has some natural curl to it, which I usually attempt to counteract with a hair dryer and a brush. (A brutal form of self-torture in September and October on my rock.) But no matter what products I apply and how carefully I blow-dry it, as the day goes on, the natural curl wins out over my labor-intensive straight hairstyle. Depending on the humidity, this can happen anywhere from eight seconds to eight hours after my torture-by-hairdryer session. When my hair begins to curl within minutes of blow-drying it, that’s an indicator of humidity in the 70 to 80 percent range, with rain being imminent. If, however, it’s still mostly straight by mid-afternoon, the humidity is at a more manageable 50 to 60 percent, and clear skies are virtually guaranteed for the next 12 to 24 hours. The condition of my skin is another barometer for the current and future state of the weather here. I’m fortunate to have air conditioning in the bedroom, but as soon as I step out in the morning, I can tell what type of day it will be, meteorologically speaking. As the old adage goes, It’s not the heat, it’s the humidity. If the difference in humidity between my cool, air-conditioned sanctuary and the open-to-the-elements kitchen is such that I break into a sweat instantly upon opening the bedroom door, it’s almost assured that we’ll have rain by evening. But if I’m able to (for the most part) transition between these rooms without massive perspiration, we’re in for clear skies for the day. And although it rarely happens, if my skin feels dry, you can count on a scorching hot day—the type where it’s too hot to even go to the beach. I knew from the outset that island life would force me to adapt in ways I never expected, but I would not have guessed that it would turn me into a better-than-average meteorologist! 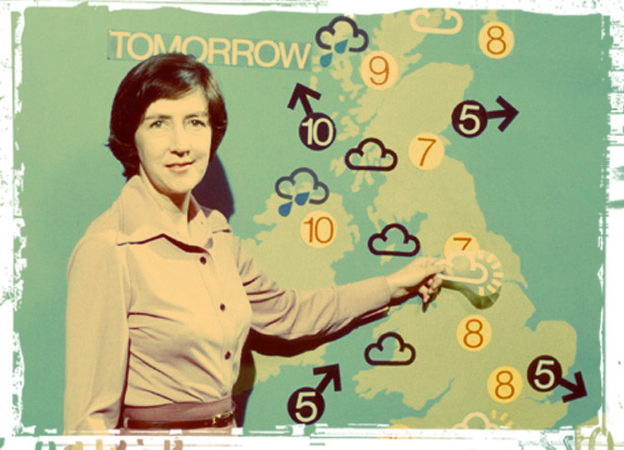 Do you have any island-style tips for us budding weather forecasters?